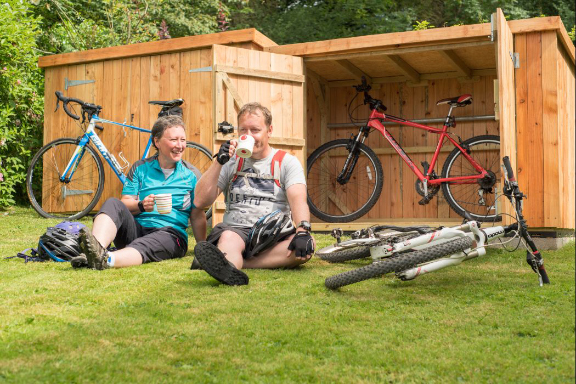 The cycle tourism market is growing by 10 to 15 per cent every year and mall to medium-sized enterprises (SMEs) which cater for cyclists in the Peak District National Park have benefitted from individual grants of between £105 and £11,000. 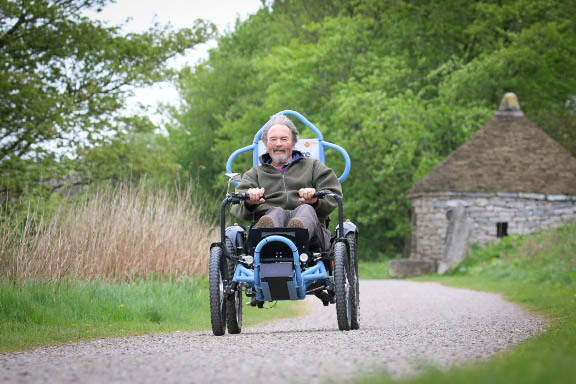 Innovations in cycling technology in recent years has also allowed the National Park’s own bike hire centres to expand the range of equipment available, including electrically supported and mobility cycles to open up trails to a wide range of audiences. Carol Parsons, Pedal Peak Business Officer said: “Our Pedal Peak for Business grants paid 50 per cent towards the cost of cycle storage sheds, bike wash facilities, public pumps, workstations and bike stands to help businesses attract cyclists and benefit their business. Interested businesses should contact carol.parsons@peakdistrict.gov.uk as soon as possible to find out more. The Pedal Peak for Business project teamed up with Cycling UK’s Cyclists Welcome scheme to promote the Peak District National Park and local cycle-friendly businesses to anyone who is planning their cycling holidays and wants to find places to stay and eat near to their cycle routes www.cyclistswelcome.co.uk.